Retreating into a hot bath is one of the best ways to cap off a long, hard day. More than just a stress reliever, it’s a form of self-care. Light up some sweet-scented candles, listen to music, read a good book, enjoy a glass of wine – et voila! The ritual is complete. But you need a trusty caddy for that, or risk submerging your things in the bath water. With limited (and mostly cramped) bathroom space, most of us aren’t left with many options. Possibly one of the best investments you can make is a durable bath bench – one that is dependable, blends in nicely with the space, and most importantly, is resistant to rotting. Luckily, we have the perfect one for you! 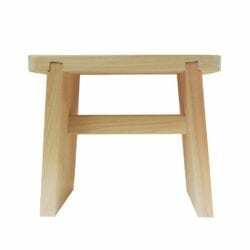 Our Hinoki Bathtub Bench is the perfect addition to your bathroom. Its light, wooden finish adds character to the room in the most simplistic yet homey way. It can fit bathtubs with inside width dimensions of 22.7″ to 26.5″ and is able to hold up to 250 lb of weight. It features a compact and minimalist design that when not in use, you won’t even notice that it is there! Our Hinoki Bathtub Bench is made with 100% Hinoki (Japanese Cypress Wood) which is naturally antibacterial and highly resistant to mold. Hinoki wood produces an antifungal resin which prevents bacterial growth, lessening the chances of rotting. To top it all off, Hinoki wood is naturally fragrant too, and has a nice, rejuvenating aroma. The scent will remind you of a traditional Japanese onsen!